To understand more about the stability of air masses, we need to examine the temperature changes undergone by an air mass as it rises or sinks, which in turn relate to pressure changes. The simplest case concerns unsaturated air, i.e. air which carries all the available moisture in gas form (Lecture 3). Relationships between pressure and temperature lead to a simple linear relation between temperature and altitude for rising or sinking air. This is known as the Dry Adiabatic Lapse Rate (DALR), and is equal to 9.8°K km-1. Air lifted up will cool at this rate due to reduction in pressure, air sinking will warm at this rate due to pressure increases. This was demonstrated in the pressure vessel (Lecture 2). The word ‘adiabatic’ is derived from the Greek word for ‘impassable’, and it refers to a system which does not lose or gain energy. Thus, rising air is said to cool or warm adiabatically when its temperature changes are due entirely to pressure changes. In reality, some degree of energy exchange will always take place, but these are generally small on short timescales. When condensation or evaporation occur in the air, however, lapse rates of rising or falling air differ from this value. As we have seen in Lecture 1, latent heat is released by condensation and consumed by evaporation (2,500 J g-1). This alters the adiabatic lapse rate: because energy is released by condensation, rising air will cool more slowly if condensation is occurring. Thus, there is a smaller change in temperature with height than would be the case for unsaturated air. The modified lapse rate is termed the Saturated Adiabatic Lapse Rate (SALR). The varying amounts of water vapour that can be held in air at different temperatures means that the SALR is non linear. The SALR is lowest at high temperatures, because of much higher saturation mixing ratios: i.e: greater amounts of energy are released at the vapour/droplet transition, therefore temperature changes with altitude are reduced. At low temperatures, the SALR is more similar to DALR: smaller amounts of moisture are available for condensation, so the modification of the lapse rate is less. Adiabatic Lapse Rates are commonly different to the real vertical change in temperature, known as the Environmental Lapse Rate (ELR). The ELR is influenced by patterns of heating, cooling and mixing, and the past history of an air mass. Actual vertical temperature gradients in the atmosphere are thus highly variable, and can even show an increase in temperature with height, a situation known as a temperature inversion. The stability of air masses depends on the relative values of the ELR and the appropriate Adiabatic Lapse Rate. Air is stable if the ELR less than the ALR. If, for any reason, a parcel of air is uplifted, it will cool to lower temperatures than its new surroundings along the ALR. Hence the air parcel will be denser than its surroundings and will tend to fall back to its original level. This situation is encouraged by a small ELR or a temperature inversion. In this case, the ELR is greater than both DALR and SALR. Uplifted air cools relatively slowly, and will thus be warmer and less dense than its new surroundings. It will therefore tend to continue to rise. In this case, the ELR is less than the DALR but greater than the SALR. Air will be stable unless forced to rise to altitude where condensation occurs, whereupon spontaneous uplift will occur. the temperature that an air mass would have if it were moved dry adiabatically to a level at which pressure is 1000 hPa. The equivalent concept for saturated air is the wet-bulb potential temperature (qw), which is the temperature that air would have if it moved to a level where the pressure is 1000 hPa, along the Saturated Adiabatic Lapse Rate. Potential temperature is an extremely important concept, because it allows us to directly compare air masses regardless of their altitude or pressure, and thus allows us to predict how air masses will interact. To illustrate the concept, let us re-examine the conditions for air stability, from the point of view of potential temperature. For simplicity, we will consider only the case of dry air. A stable atmosphere is one in which potential temperature increases with altitude. That is, if the environmental lapse rate is such that potential temperature increases with altitude, then the atmosphere will be stable. This is the same as saying that the ELR is less than the ALR. Examples of this situation are when the lower levels of the air are cooled by a cold ground surface, or if warm air is advected over cool air. It is also the case in the stratosphere, where the air is heated from above by UV bombardment: this is why the stratosphere is so stable. An unstable atmosphere is one in which potential temperature decreases with altitude. In this case, the lowest levels have the highest potential temperature: this upsets the hydrostatic equilibrium (Lecture 2), and the lower air will thus tend to rise. This is the situation in which air is heated from below by longwave emission from the ground surface. It is equivalent to the case where the ELR is greater than the ALR. A situation we have not yet considered is a neutral atmosphere: in this case, potential temperature is constant with altitude. This is equivalent to saying that the ELR = ALR. This situation is quite common in windy, well mixed conditions in the lower troposphere. 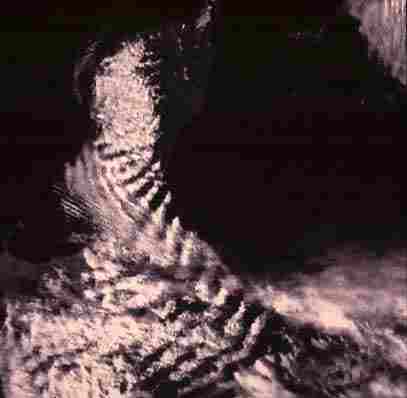 Air heated at the ground is rapidly mixed upwards by convection and turbulent winds, thus equalising potential temperature. One of the most versatile and useful ways of representing air stability is based on plots of actual temperature against potential temperature for vertical transects through the atmosphere. Such temperature-potential temperature diagrams are known as T f diagrams or Tephigrams. (This is because potential temperature can be regarded as equivalent to entropy, which is denoted by the Greek letter f (Phi)). On the basic Tephigram, temperature is plotted on the vertical axis, and potential temperature on the horizontal axis. Air pressure then plots as a series of gently curving diagonal lines slanting up from bottom right to top left. 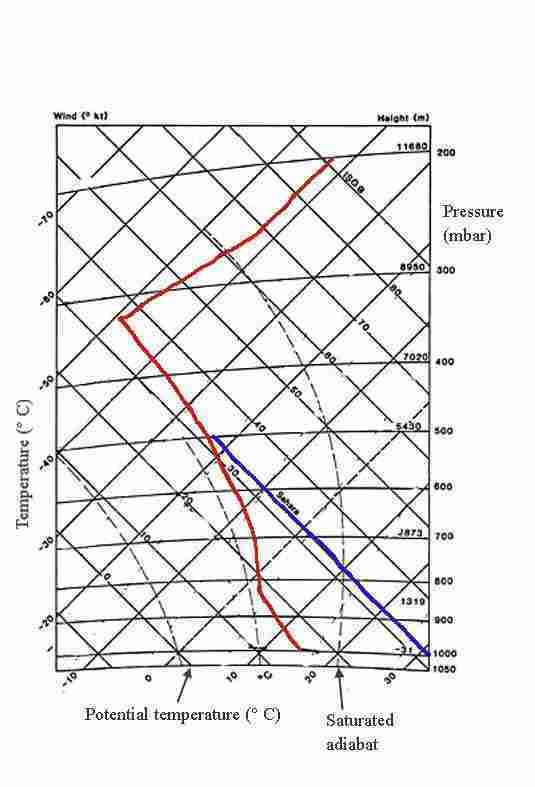 Because air pressure decreases with altitude, it is useful to rotate such diagrams until the pressure isolines are approximately horizontal, with the highest pressures at the bottom (1050 hPa) and the lowest at the top (usually 200 hPa) so that the diagram then appears as a vertical slice through the atmosphere. The shape of temperature profiles then shows at a glance whether the air is stable or not. Furthermore, these diagrams also permit the exact calculation of the behaviour of air masses. Above: Tephigram showing lines of equal temperature (rising from left to right), potential temperature (rising from right to left), pressure (sub-horizontal curved lines), and saturated idiabats (steep dashed curved lines). Also shown are temperature curves derived from soundings over Northern Ireland (red) and the sahara (blue). The Irish curve closely follows a saturated adiabat through most of the atmosphere, characteristic of a well-mixed, cloudy atmosphere. The abrupt change in direction just below 300 mbar is the tropopause: the abrupt change in thermal characteristics of the atmosphere between the troposphere nad stratosphere. The Sahara line (blue) is parallel to a dry adiabat (line of equal potential temperature: this is characteristic of a dry atmopshere well mixed by convection. For dry air, rising or falling air changes temperature along the dry adiabatic lapse rate. This means it will follow lines of equal potential temperature, which are marked as diagonal lines on the diagram. These are known as dry adiabats. For saturated air, rising or falling masses will follow the saturated adiabatic lapse rate. Examples of these cooling/warming curves are shown on Tephigrams as curved lines, beginning nearly vertical at the bottom of the diagram, then gradually curving into parallel with the dry adiabats. These are known as saturated adiabats. Lines representing the environmental lapse rate can thus be compared at a glance with the gradient of the dry and saturated adiabats, thus providing a rapid impression of air stability at all levels of the atmosphere. The lifting condensation level: this is the altitude at which condensation will occur for a given air mass raised adiabatically. It coincides very closely with the cloud base. Below that altitude, rising or falling air will follow a dry adiabat, above it, a saturated adiabat. Dew point: this is a related concept to the lifting condensation level. It is the temperature at which condensation occurs (for constant pressure). Consequences of Instability: Convection and formation of cumulus clouds. Most of the heating of the atmosphere is accomplished by longwave radiation from ground or water surfaces. This means that, in the troposphere, maximum energy receipts are commonly at the lowest levels. This will raise temperatures (and potential temperatures) there, upsetting the hydrostatic balance and creating instability. This one fact accounts for a huge amount of atmospheric behaviour. It explains why vertical motions are so prevailent in the troposphere: the atmosphere is constantly mixed to evacuate energy from lower levels to the upper troposphere, where it can lose energy by longwave radiation into space. Thermally-driven vertical mortions are known as convection. Convection is initiated by heating at a ground or water surface. The vertical dimension of convective cells is determined by the temperature profile of the atmosphere, and the moisture content of the air. The temperature profile (or, as we have seen, the vertical potential temperature gradient) is the ultimate determinant of stability. Limited convection can occur in a generally stable atmosphere if excess heating occurs near the ground. In this case, energy can be gently lofted upwards in dry thermal cells. Such thermals can be hundreds or thousands of metres high in some warmed dry atmospheres, providing ideal conditions for parapenting and other aerial pursuits. The most vigorous convective cells involve the formation of cumulus clouds. This is because cloud formation involves the release of latent heat which, as we have seen, provides an extra source of energy during condensation. Indeed, latent heat release provides the bulk of the energy involved in large cumulus systems. Small cumulus are the visible portion of small convective cells, which can form in the lower part of the troposphere due to heating from below. Small cumulus are preferentially developed over land, due to greater heating compared with water surfaces where latent heat is consumed during the evalopration of water. Cumulus have a cellular form, either with the cloud in the centre of the cell (closed cells) or around cell boundaries (open cells). In the latter case, clear air sinks in the centre of the cell, and rises between cells. The type of cell pattern relates to air properties and rates of energy exhange. Cloud streets are elongated convection cells which form when there is horizontal transport of a convecting air mass. Cloud streets are most common where a cool airstream blows over a warm surface; e.g. northerly winds in the n. hemisphere mid latitudes. We have seen that for stable air (where potential temperature increases with height), air that is forced to rise will return to its original altitude. One of the most beautiful consequences of this behaviour is lee waves or mountain waves downwind of large obstacles to the flow. As air is blown against a mountain, it is forced to rise. If it is stable, then on the lee side of the mountain it will fall again. However, its momentum is such that it will shoot past its original altitude and go lower than it was before. It then is forced to rise again by its disequilibrium with hydrostatic conditions. It will again overshoot, this time going too high, and so on. 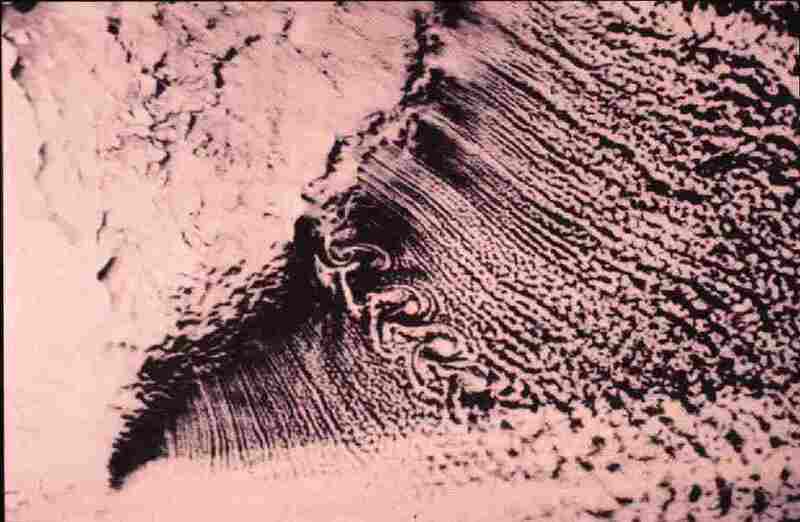 If the resulting wave intersects the condensation level of the air, clouds will form at the crests of the waves. These clouds, among the most beautiful in nature, are commonly seen downwind of mountain ranges in stable, windy conditions. They resemble great plates or lenses. Look out for them in the wide skies of St Andrews Bay: they are quite common. If the moisture content of the air varies with altitude, such lee wave clouds can form vertical stacks of lenses, called piles des assiettes, or ‘piles of plates’. the exponent 1/2 means ‘the square root’. The units of N / 2p is sec-1, or cycles per second. The equation shows that the oscillation frequency is greatest for larger gradients in potential temperature. This clearly makes sense: the steeper the potential temperature gradient, the greater the disequilibrium experienced by displaced air, therefore it will tend to rise or fall with higher velocity. This shows that the wavelength (spacing) of lee wave clouds will be greatest for high wind speeds and slightly stable air (small increase of potential temperature with altitude). Closely spaced waves will result from low wind speeds and high potential temperature gradients. However, the waves will not propagate forever. Eventually, friction between the oscillating layer and the surrounding air will damp the oscillation, and the lee wave train will eventually die out. Even if you don’t completely follow the maths, you have to admit lee waves are pretty cool clouds. The blue line in the TePhi diagram is of particular interest. Very dry air in a stable atmosphere pretty much hugs the DALR. Good luck in your effort to educate all who haven´t a meteorological education (and some of these certainly need to get reminded, too). The knowledge presented here is vital to be able to discuss what happens in real atmospheres. A small remark: notice that the impact of electromagnetic radiation is almost not mentioned in these educational chapters. It is because solar irradiation is mainly sustaining an energetic balance that is constantly disturbed (night/ day and summer/winter) Still electromagnetic radiation is secondary when forming the temperature profiles in the TROPOSHERE. Convection is the major process always trying to achieve that ELR = ALR. The radiative processes start to dominate at higher altitudes although ALL physical processes at hand will work towards that goal. As I have shown it will also develop in a STATIC atmosphere but that one is not very common to find on earth´s atmosphere. It is easier to find it on Venus. If you inclose a “neutral atmosphere” (regionally) and insulate it from energy inputs and outputs it will be very close to maximum entropy. Hence, the change of temperature profile before and after the inclosure will be almost nil. “equalising potential temperature.” means equalising energy per mass unit. This is exactly what was found in 30 consecutive days during the Koorin expedition (1974?) in Daly Waters, Australia. When important information is missing in a hand book or article I get irritated. The blue line represent afternoon condition in a desert without clouds. The night temperature profile is quite another business. The temperature profile will then be broken below 1000-1500 m because of radiation from the surface during night. The DALR is also 1-2K lower due to IR radiation from the atmosphere. The energy lost during night is returned before noon the next day and the DALR profile is unbroken from the surface again. Publisher: Canberra : Australian Dept. of Agriculture, 1974 . Description: xiii, 359 p. : ill. ; 25 cm . Hans: As I have shown it will also develop in a STATIC atmosphere but that one is not very common to find on earth´s atmosphere. It is easier to find it on Venus. If you inclose a “neutral atmosphere” (regionally) and insulate it from energy inputs and outputs it will be very close to maximum entropy. Yes. I’ve highlighted in bold the key point in relation to your gedanken experiment. Venus has strong lateral winds carrying energy from day to night side, but these would subside in a situation where you shut off the planet from solar influence. It seems to me that this is the key point that Allan Millar missed in his inelegant challenges to your papers. He then said vertical winds would still continue until heat was evenly spread, but this misses you point about energy per unit mass and the gravitational potential energy gradient. Not much time, but looking at the Irish temp. line the sharp bend around 320 mb seems very low for the tropopause above Ireland with surface temp around 15C. Tropopause around 200-250 mb would be more normal imo. Perhaps the onset altitude of the jetstream? The temp profile actually shows an inversion above ~320 mb. TB, there was a very fine set of wave clouds in your area last month. “Not much time, but looking at the Irish temp. line the sharp bend around 320 mb seems very low for the tropopause above Ireland with surface temp around 15C. Your last sentence provides the key. Your observations are correct but in this situation there is a regional subsidence from the upper part of the atmosphere which “lowers the troposphere/tropopause boundary by definition as is seen in the profile. There can be several reasons for such a regional atmospheric behavior. Averge values are just average. As a curiosity my barometer pointed on 1040 mbar yesterday just when the half moon passed Jupiter (?) in a clear sky and Venus was close. Today it is 1037 mbar. This was the highest pressure during 40 years according to TV news. Just a coincidence? “Hans: As I have shown it will also develop in a STATIC atmosphere but that one is not very common to find on earth´s atmosphere. It is easier to find it on Venus. The strong winds are in the upper troposphere and above which makes sure that the tempearture on the day side and the night side differ very little (about 5K) despite the very slow rotation of venus. If you go down to the lower troposphere (0-40 km) the static situation is more applicable. According to Russian measurements about 1.5% of solar irradiation hit the Venusian ground if I remeber correctly. That can be compared to the situation on earth and Mars. The differences are great and of cource they have to affect surface (average) winds which they for sure do. The cloud streets are very interesting phenomenae. 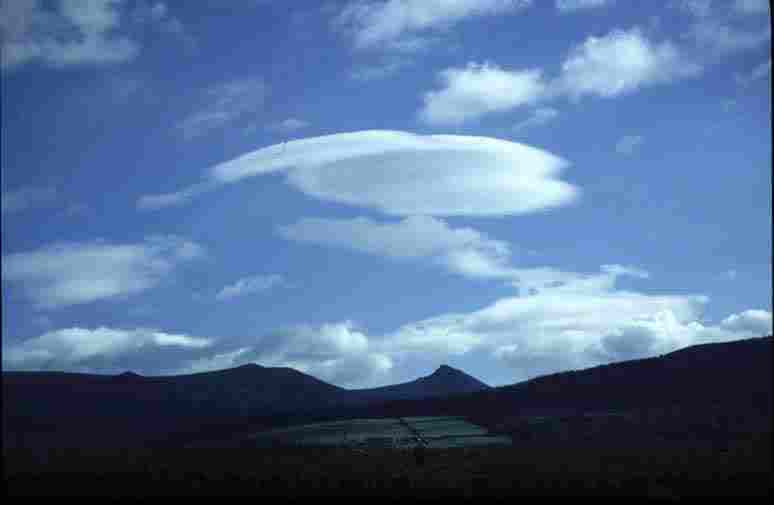 Cloud droplets are indicating a physical flow that is not very common. First realise that cloud droplets formation and evaportation is a fast process. The main air flow is directed along the cloud lines. The formation is possible since the horisontal wind moves in a screw like manner and two neighbouring ones in opposite directions. Where air is lifted droplets will form and where air is descending droplets will evaporate. I did not learn this in meteorology classes. I do want to point out that “adiabatic” is an incomplete description for what happens to rising, sinking air. It is actually adiabatic and reversible. It is isentropic. Things get named what they are named for a variety of reasons, very often simply historicle, but I’m very much puzzled by this misnomer. It leads to not insignificant confusion. Your last sentence provides the key. Your observations are correct but in this situation there is a regional subsidence from the upper part of the atmosphere which “lowers the troposphere/tropopause boundary by definition as is seen in the profile. The plane dividing the cold polar air and the warmer subtropical air slopes northward from sealevel up. If you start in the polar air and enter the subtropical air higher up you’ll encounter an inversion. The tropopause is above 200mb in the Ireland example. the temp profile above the Sahara isn’t caused by convection, but by SUBSIDENCE below the subtropical jet, between the Hadley and Ferrell cells. In fact, the confusion begins on the next sentence. The air parcel does in fact lose energy. It loses/gains energy in the form of work – it does work on it’s surroundings as it expands (loses energy), and work is done on it by the surroundings when it compresses (gains energy). Adiabatic means it does not gain or lose HEAT (the other form of energy). Wet bulb temperature is, AFAIK, the temperature of an air parcel if it went from it’s current relative humidity to complete saturation by evaporating water – it is the maximum achievable temperature reduction via evapoorative cooling of water. If relative humidity is 100%, the actual and wet bulb tempeatures are the same. Your first word indicate that you don´t know what you are talking about. The rest of your mail proves it. Observations always beats models if they differ. Your argument is the “disprove my correct statments about a specific physical situation in nature by refering to a general model which at hardly any time show up in nature (neither in space or time). Professsor marcel Leroux has described real phenomena much better that Wikipedia does. Interesting observation, Hans. Perhaps the tidal effect of moon/Jupiter/Venus combined charge field compressed the atmosphere and caused the blip in pressure? Did the pressure increase also cause a short-term rise in temperature? “In fact, the confusion begins on the next sentence. The air parcel does in fact lose energy. It loses/gains energy in the form of work – it does work on it’s surroundings as it expands (loses energy), and work is done on it by the surroundings when it compresses (gains energy). Adiabatic means it does not gain or lose HEAT (the other form of energy). Your are wrong when stating: Adiabatic means it does not gain or lose HEAT (the other form of energy). Adiabatic motion means by definition: The energy content of the insulated air parcel stays constant. Is not gaining or loosing energy during its vertical motion up or down. This is an assumption for deriving the theoretical forumula for the dry adiabatic temperature lapse rate and makes it possible to apply the 1:st law of thermodynamics during the derivation. You are telling that the 1:st law of thermodynamcs does not apply to atmospheric gases. You should realise that this was an extreme pressure situation that could have taken place at any longitude. However, probably there several physical processes are interacting to generate an extreme situation. The temperature here is mostly controlled by cloud cover during winter. Two days ago there was 100% cloud but it went away yesterday evening/night and the temperature fell about 8K. When the full moon is at a high elevation we mostly have cold and clear weather for some days. This seems to have happened now despite the moon was just half. I haven´t checked on the lunar distance. I don´t believe common tidal action can be the cause if calculated by Newtonian physics. [Reply] You have much to learn about the way people conduct scientific discourse on this website. Whenever I see the phrase “with all due respect” being deployed, I know for certain that what follows is disrespectful before I even read it. If you want to disagree with Hans about energy balance at adiabatic equilibrium, do it on the thread set up for it where you can see his mathematical/physical proof as you discuss it,, not here. Let’s give it a try. The Ireland profile above ~320 mb seems to begin at ~8660m alt and finishes at ~11660m. = ~3km difference. while your subsidising air descends (~ 2K/km). DALR would have the temp INCREASE with 9,8K/km, WALR a bit lower, more like 5K/km, but still INCREASE while descending. Appearently you have another adiabatic lapse rate, that lets the air COOL while descending. Care to share this secret? “Let’s give it a try. The Ireland profile above ~320 mb seems to begin at ~8660m alt and finishes at ~11660m. = ~3km difference. The question is why the the troposphere seems to start at 320 mbar instead of let´s say 225 mb which probably is normal as you claim. For clarity my claim is that the tropopause is found at 320 mbar because an (unusual?) subsidence has happened. The air above has just sunk and including the inversion. I might have been unclear in my language about that. Start from having the bend at 225 mbar and let the whole air mass above subduct until it reaches 320 mbar. At that point the subducting air mass has increased its temperature from about -60C to -49 as is shown in the diagram. The air underneath has moved away somewhere else. There are several reasons why such a subduction can happen. Did not know of Smith, Van Ness & Abbot. I was nearly going to write that any text writen by or for Climate Scientists is likely to be less than useful, such as the (Sir) John Houghton’s “The Physics of Atmospheres”. But have now downloaded S,VN&A and see it is entitled “Chemical Engineering Thermodynamics” which gives it a chance of making sense. I would have suggested Perry’s Chemical Engineering Handbook as Section 4 covers Thermodynamics, Section 5 covers Heat and Mass Transfer, Section 6 Fluid and Particle Dynamics, and Section 7 Reaction Kinetics. Each section has a huge amount of reference for those who wish to go deeper. Further Section 2 has a vast amount of chemical and physical data while Section 3 has all the mathematics and statistics one normally needs. Uh! Oh! I see that Van Ness and Abbot have written section 4 in Perry’s CEH. I will have to say thanks to kdk33 – free download of a large book. [Reply] You have much to learn about the way people conduct scientific discourse on this website. Whenever I see the phrase “with all due respect” being deployed, I know for certain that what follows is disrespectful before I even read it. If you want to disagree with Hans about energy balance at adiabatic equilibrium, do it on the thread set up for it, not here. I wish kdk will come back with his comment and it would be very favourable if he addressed my proof at the same time at the site Tb mentioned. There seem to exist some interesting semantic and definition problems. To me it is a little curious that energy sometimes isn´t energy but it might depend on the fact that there are so many synonyms in the English language. If you want to play favorites you may – it’s your blog. But, what are you afraid of? Hans was very clear that I was wrong. I was very clear that he was wrong. I assume he is a big boy and doesn’t need you to protect him. I backed up my assertion with quotes straight from wiki that directly contradict what he said. I followed with (several) mathematically rigorous derivations. It is relevant to this post because, as I said, failure to recognize the ISENTROPIC assumptions leads to much confusion. It’s nice to protect peoples feelings. It’s a heck of a lot nicer to do technically correct science! A little pain now, saves a lot of disappointment later. Tough love, as they say. I’m disappointed you have snipped my comments. I understand your intentions, but they are misguided. You will also note that I am dead right, and Hans is dead wrong. That matters. [Reply] I’m not playing favourites, I’m being practical, and warning you to be respectful to others. This is a ‘basics thread’. If you want to get highly technical and start calling Phd Meteorologists out, go do it on the thread which is appropriate, politely. I left your second comment in the moderation queue for now so you can cut/paste it to Hans’ thread. “An Alternative Derivation of the Static Dry Adiabatic Temperature Lapse Rate”. It shouldn´t be any match for you. I will be glad to hear your argument on that thread as Tb suggested. It doesn’t. Read the definition I linked to, and especially the last part of it. Has been added to prevent the exact kind of mistake you’re making. In your way of thinking we could have the tropopause near groundlevel. In the Ireland profile the tropopause isn’t even shown. It must be above the 200 mb level. for a simple picture of the sloping polar front I mentioned. This is standard meteorology/climatology, no unusual sudden subsidence only at high altitude needed. Thanks for this, the next lecture in Basics. I love the cloud photos. As for the rest – gotta go back and re-read the lot. At least two more times …. sigh. And thanks for the comments, they do help me to understand. What does it happen in convection?, instead of our immediate response: “warmer air goes up”, if we apply Socrates´ “Mayeutics”, we should ask ourselves, again: what is it a “warmer” air?…air with more “energy”, air much more “charged” as being able to relatively defy the law of gravity….until a storm or a lighting storm, or even a “hurricane” happens, and it becomes discharged. As “energy” and “charge” are more general terms, and they can be applied, analogically, to other phenomena, we would be much more prepared to do so and then to understand, instead of just a particular phenomenon, many other. We are being “inflationary” not only with currency but with words. Is that correct? Or is most of the atmospheric heating from conduction/convection/evaporation of the ground or water surfaces? You’re so very correct imo. Seems a problem with the human brain, to be fixated on the wrong things. You may find a book by Salomon Kroonenberg enlightening, it’s called “De menselijke maat”. Insufficiently translating into “The human measure”. I think that the whole GW debate hinges on that question. Is most of the heating of the atmosphere from longwave radiation from the ground or water surface? Do we have any empirical evidence one way or another? My flat out guess is that over water, especially the Tropics, evaporation/condensation, conduction, etc. heats the atmosphere much more than radiation. At night and away from the tropics my guess is that radiation heats the atmosphere more. Concur about work. Convection is work either through W=PdV. Why do folk think that the atmosphere is heated ‘mostly by radiation’ when 99.96% of the atmosphere is incapable of absorbing said radiation? On an individual molecule basis, about one in every 2500 molecules (in a well mixed atmosphere) can absorb radiation in the relevant wavelengths. Therefore the only way that the non-radiative molecules can be ‘heated’ is by conduction (low energy collisions). (Convection is a means of heat transport rather than transfer.) When H2O is present in the atmosphere it has the ability to absorb radiation but again can only transfer heat through conduction. I understand that, ultimately, all atmospheric warmth comes from the Sun by radiation but I’m not sure that’s what folk mean when they make sweeping statements about the veracity of the radiative forcing theory and GHGs. Patiently awaiting proof of the nonsense I allegedly have written plus a serious rebuttal of that nonsense. If nothing is forthcoming, you may consider toning down your arrogance a bit. Sorry all about my reference to the S, VN&A book. I just Googled the names, picked the first site then downloaded. I did not see that it was a published book. However, I do have Perry’s Chemical Engineering Handbook, which should be available in any good University library. That is published by Graw=Hill. Many good Universities have it on=line for their chemical engineering students. That Abott character is a Johnny-come-lately. Find an older edition, just S&VN. Vintage stuff. Please let Hans know that I have posted on the appropriate thread and am awaiting his response. I would very much like to continue our discussion. Arfur, in general I agree. The ratio of energy moved by conduction, convection, evaporation condensation, and radiation have not, to my understanding, been quantified! I am however less certain of this part of your statement… ” When H2O is present in the atmosphere it has the ability to absorb radiation but again can only transfer heat through conduction” perhaps you could clarify as I thought water vapor also radiates at common earth T.
How can it not? Via the second law, all molecules in a non GHG world will have to reach the same T as the surface, as any atmosphere with T must convect. Net flow must ever go to all molecules with less energy then the surface T or surrounding air mass molecules, until equilibrium is reached. Of course, once equilibrium is reached, net conduction is ever going to move in both directions between the surface and the ground, sometimes in some places net flow going either way, and all local air masses will strive, via conduction, to reach a LTE. Now the curious part. The atmosphere is a 3d world receiving conducted specific heat from a 2d contact with a 2d surface. Energy is an absolute (never lost) quality that can manifest in different forms. T is a relative quality that only measures one aspect of energy. Raise your arm in a 3d world of moving convecting molecules, each vibrating with the same specific heat as the 2d surface molecules, and your arm, being hit on all sides by a moving 3d medium, may register a higher T then laying it on the surface. Add more MOVING CONVECTING molecules to the same area, after they all reach balance with the surface, you will feel a higher T and your thermometer will register a higher T. We know that an evaporating working fluid filled or gas filled heat pipe can move heat more effectively than solid metal (which has some of the best heat conduction rates known.). So both the 3d qualities of an atmosphere, and the motion qualities of convection work to create more specific heat per area then a 2d surface. In a sense one has to compare a sq’M of land to a cubic meter of atmosphere, with 6 m2′ of surface and all the moving mass between. At what point of mass does the 3d moving atmosphere registers a higher T then the 2d surface? I do not know. I do however think that the more mass you have per m2, the higher the specific heat per m2 will be once the increased heat capacity is filled. There might be. I will see what I find when digging in my old computer but be patient. You can even search by cloud type. You want clouds? They’ve pretty much got them all. Clouds-R-Us. Clouds-U-like. Even UK residents will be impressed by the clouds they’ve got. May I suggest to replace the text below the Tephigram. Whatever Phd Meteorologists may say, most of this text is nonsense. The Ireland profile doesn’t show the Tropopause, it’s above the 200 mb level. The sharp bend at 320 mb is most probaly the Polar front, a very well known phenomenon at the lattitude Ireland is at. Above 320 mb we have a temp. inversion, so this can’t be the tropopause according to the accepted definition. The tropopause isn’t normally a sudden change in the atmosphere, it’s just the altitude where the lapse rate reduces below 2K/km. This impression of suddenness is probably caused by the ICAO standard atmosphere, where the lapse rate changes from 6,5K/km to 0K/km at the tropopause. A great demonstration of the effect of the DALR and WALR would be to show how the Föhn wind (Chinook winds) work. Show how the classic explanation involving raining out off the rising air compares to the N&Z explanation involving the ATE. I’m interested in having this explained. I suspect your level of knowledge on this is greater than mine. Your comment about H2O also emitting is well taken. I was wrong to say ‘can only’ transfer heat by conduction, but should have said ‘can mostly’… Now I my be wrong in that also, but I was under the impression that the effectiveness of the radiation from water vapour was far less than the effectiveness from CO2 due to the slight wavenumber difference, which is why water vapour is left out of most radiative forcing graphs. As to your discussion about convection. I see your point about ‘moving convecting molecules’ but I would have thought that the inter-molecular transfer of heat by conduction dwarfs any extra heat imparted by the fact the molecules are being convected. However, the effect you state may well exist. Of course, convection is taking place pretty much all the time in the atmosphere, so a small effect will be multiplied. However, it would still be true to say (IMO) that direct transfer is mostly by conduction. I confess I do not know the answer to your questions in the final paragraph. I intuitively feel you are right, but cannot come up with a ‘point of mass’ figure. I found your post both informative and reasoned. Thank you. You imply that most thermal energy transferring from the surface to the atmosphere does so by way of radiation. Why? All that matters is what happens in the first millimeter of the air which butts up against the surface. It is here that diffusion operates as the primary heat transfer mechanism – that is molecular collision – see Wikipedia “Heat Transfer” second paragraph. 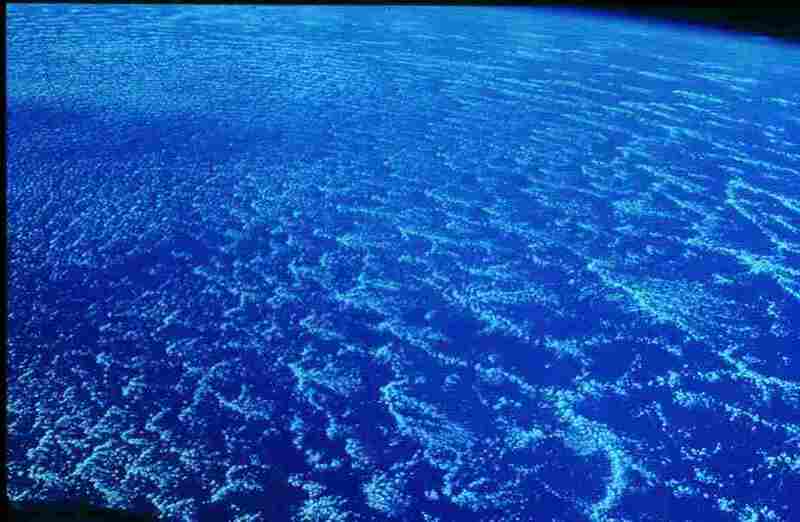 Over the oceans and other water surfaces evaporation also plays a major role. Thus near thermal equilibrium is established (as we observe) and so there is little energy left for radiation, as SBL also tells us when the temperatures are close. See http://climate-change-theory.com regarding Dr Hansen’s huge mistake in this regard. However, there are many ‘basic’ issues that aren’t dealt with in the first three lectures on that site. ‘Water vapour’ (WV) can exist as an ‘atmospheric component’ for anything up to 4% of the atmospheric constituent before reverting to its ‘liquid’ state, but the ‘sg’ (specific gravity) of the gas isn’t even mentioned in the ‘concurrent’ three tomes of the lectern that you link to (perhaps this is because WV doesn’t exist as a ‘separate gas’ at Earth’s ‘STP’ [standard temperature and pressure]). For good will and posterity here’s a quote from ‘A TEXT-BOOK OF INORGANIC CHEMISTRY’, by J. R. Partington, M.B.E., D.Sc. (yep, fifth edition [reprinted] dated 1947 by MACMILLAN AND CO., LIMITED ST. MARTIN’S STREET, LONDON [so it ‘can’ be copied AFAIK]). I’ve found this to be a ‘dated’, but ‘accurate’ reference (if only I could find the relevant page [b******s]). From ‘memory’, ‘water vapour’ (WV) is ~3/5 (~ three fifths) the density of a ‘dry’ atmosphere (yes, I know WV can’t exist as a ‘separate’ gas in Earth’s atmosphere, but if it ‘could’ it would display ~ 3/5 x the density of it). This ‘divergence’ from the ‘average density’ of ‘most other gasses’ in Earth’s atmosphere leaves WV as the most likely candidate to ‘stratify’ to a region above Earth’s troposphere (however, it can’t get there because its nature demands that it ‘changes phase’ back to water at the (colder) high altitudes and ‘precipitates’ back to the surface). IMHO, this labels H2O as a ‘passive refrigerant’ within the atmosphere and because ‘most of it’ is prevalent at Earth’s surface, its ‘forcing’ will continue as long as its presence is maintained. I’ll write more later, it’s late for me just now. [Reply] Hi Ray, Tim linked it in Suggestions before I posted it. I was in a hurry and forgot to include the link – mea culpa. I did check there was no copyright notice – something you might consider doing yourself before gratuitously casting aspersions here in future. Do 2 eventuallys take longer than one? You have my full apology tallbloke. My ‘body clock’ is shattered and I shouldn’t post when I’m tired (if I didn’t, I’d probably never post! However, you’re right! ), but I’m normally good for the daytime. If I find a need to contact on those issues in the future, I’ll use ‘e-mail’. [Reply] No problem, we’re all tired and can all make mistakes. It’s easy to accidentally use copyright material without realising it too, so the heads-up is timely. For the record, ‘suricet’ wasn’t the ‘tag’ for the last poster. It was ‘me’, ‘suricat’ (don’t know how this happened)! Perhaps it’s a ‘flaw’ in the ‘Gravatar’ system?